Between the highway in Bergen, and the lake Store Lungegårdsvann, the fire station is situted. This building stands out in the landscape with its friendly image and strong lines. The station is overlooking Lake Store Lungegårdsvann, and facing its green copper back to the raod. The main materials used are concrete, larch and glass. 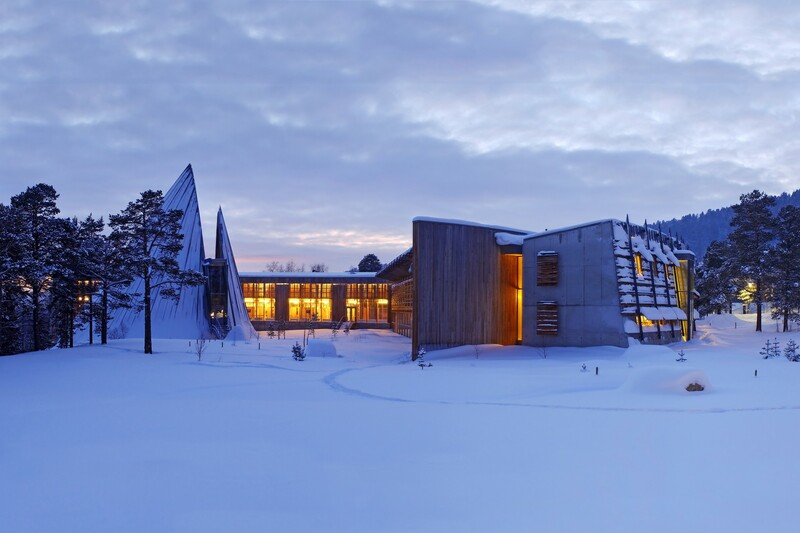 The construction of Tana Courthouse is inspired by the Sami Culture, built in respect for the surrounding nature. Larch and concrete are materials that are used throughout the construction. 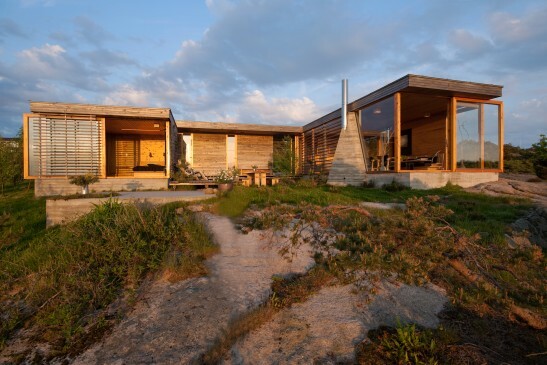 The core of the building is constructed with concrete elements masked with solid larch. Larch is also covering the slanted walls on the exterior. This way the snow does not stick to the walls, and the building is brought into the scenery. In the courtrooms the floors are made of broken slates and ash. 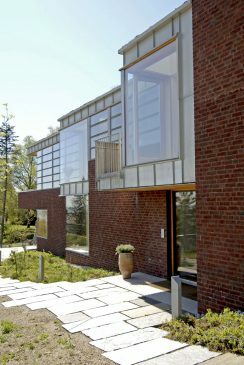 A selection of the windows are tinted with color to create a feeling of the northern light. 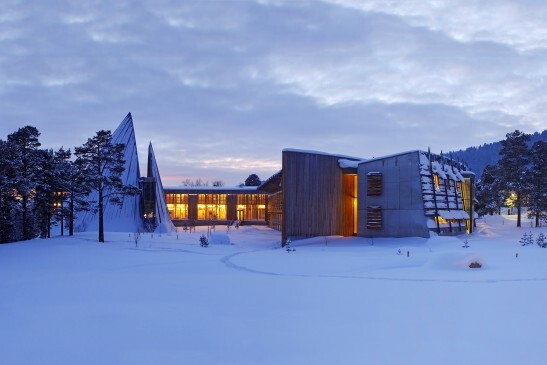 The Sami parliament is constructed among heather and moss. 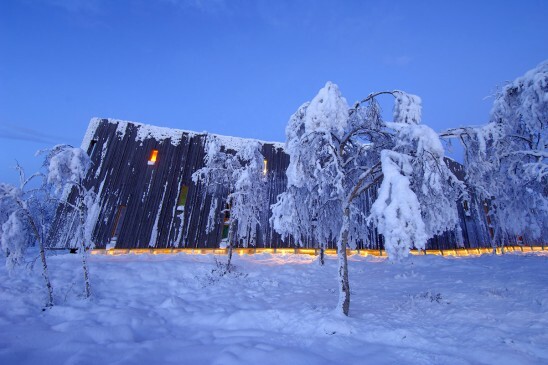 The building is cladded with Siberian larch arranged irregular – a material that will adjust over time and give a resemblance to the traditional buildings in the region. The warm atmosphere on the interior is given by the untreated pine that is used on most of the surfaces. In the assembly hall glass I situated in the ceiling to bring the nature and dancing northern light inside. The “tower” is created using glulam structure. This construction is a symbol of the Sami tents. The new wing is attached with a glass bridge. 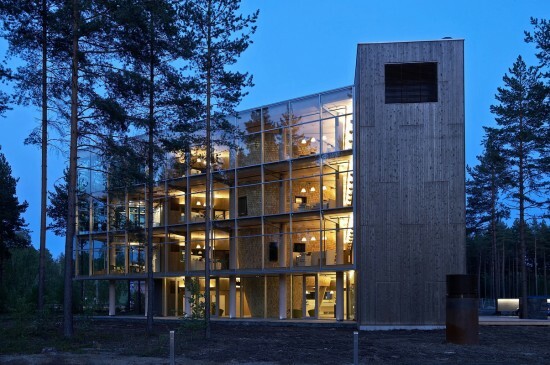 Viken Skog is the first multi-story office building that is built entirely of timber based on the traditional construction technique – stav and laft. The outer walls have been preserved with jernvitrol and tjønnrøk – like the Norwegian stave churches. The center on all floors are split by a big cone. The cone is constructed with laminated wood pillars covered with wood chips. This is thought to be a symbol of the Norwegian forest and company Skog. Finally, after many years the project with new Botanical Greenhouse is about to start. The project dates back to the 1930s when the Oslo council started the process. 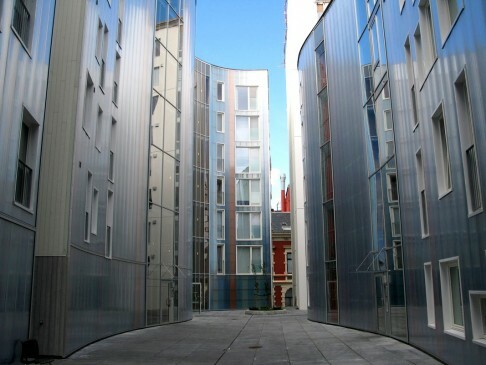 Stein Halvorsen Arkitekter won the international architectonic competition in 1998, but the project was postponed due to lack of budget and funding. In 2014 it started again, and Stein drew a new version, and created a model for the construction that will be built. Vi har denne uken vunnet en konkurranse om et boligtun for Solid Prosjekt AS i Holterveien i Drøbak! 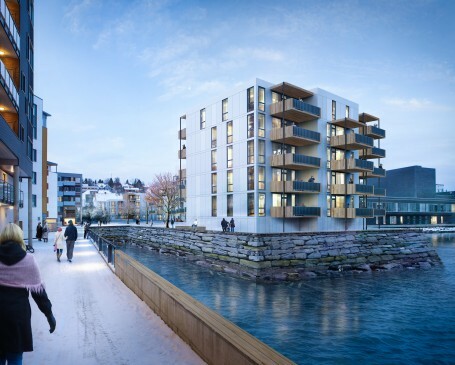 Totalt skal det bygges ca 11 000kvm, 118 boliger fordelt på 5 bygg, med 6 leiligheter per plan. Vi ser frem til å komme igang med det videre arbeidet! We do not sell, trade, or transfer the collected identifiable information to outside parties. This does not include trusted third parties who assist us in operating our website, conduction our business, or servicing you, as those parties agree to keep this information confidential. We may also release your information when we believe release is appropriate to company with the law, enforced our site policies, or protect our or others rights, property, or safety. However, non-personally identifiable visitor information may be provided to other parties for marketing, advertisings, or other uses. Rosenborggate 19 – Oppgang A, 3.etg. 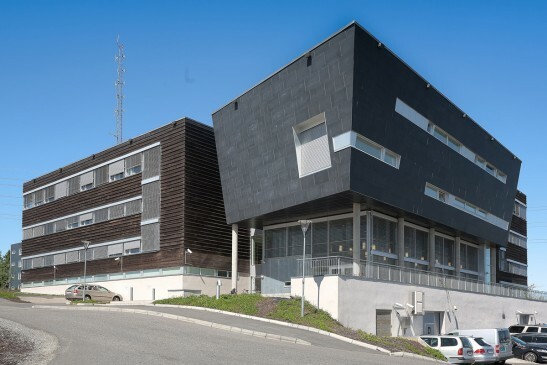 I Hønefoss er Gledeshuset under oppføring, det skal etter planen stå ferdig i mai 2018. Fortsatt «mangler» en betydelig del av bygningen som skal krage 8 m ut over gangveien langs elvebredden. Vårt kontor har økt! Nå har vi inntaksstopp, og vi ønsker Oda og Maren velkommen til Stein Halvorsen Arkitekter! Oda er vårt nyeste arkitektmedlem, Maren skal arbeide med å profilere vårt kontor. NRK har vært på besøk for å lage en reportasje om hytta vår på Høgevarde. Dette vil bli vist på Lørdagsrevyen 1.April. Stein Halvorsen mottar æresbevisningen “Honora ry Fellows” av The American Institue of Architects (AIA) for betydelig bidrag til arkitektur og samfunn.